Every website needs a place to call home and that place is called a server. The process of maintaining the files that make up a website on a server is called hosting. There is no one-size hosting solution and needs will vary depending on the size of the website, the number of website visitors, the number of photos and videos the website contains and so much more. In this article we’ll talk about hosting for WordPress versus Website Builders. If you have been reading the series, you have probably gathered that WordPress is not a one-stop shop. Once you download the open-source code from WordPress.org, you need to upload the code to a server to get it to work. Most people don’t have access to a server nor do they know how to get the files from their computer onto a server. Even though WordPress has a helpful tutorial on how to do this (see link at the end of this paragraph) and the whole process takes less than 5 minutes, it all can be overwhelming for a non-technical website owner. Most, if not all, website owners will need help with the process of installing WordPress on a server and finding the right hosting solution. However, a lot of hosting companies now offer a one-click install for WordPress making setup for WordPress super easy. We recommend InMotion Hosting as a reliable company with great customer support that offers this type of quick install feature. The script will also keep the WordPress core files up-to-date so you don’t have to bother with that either. 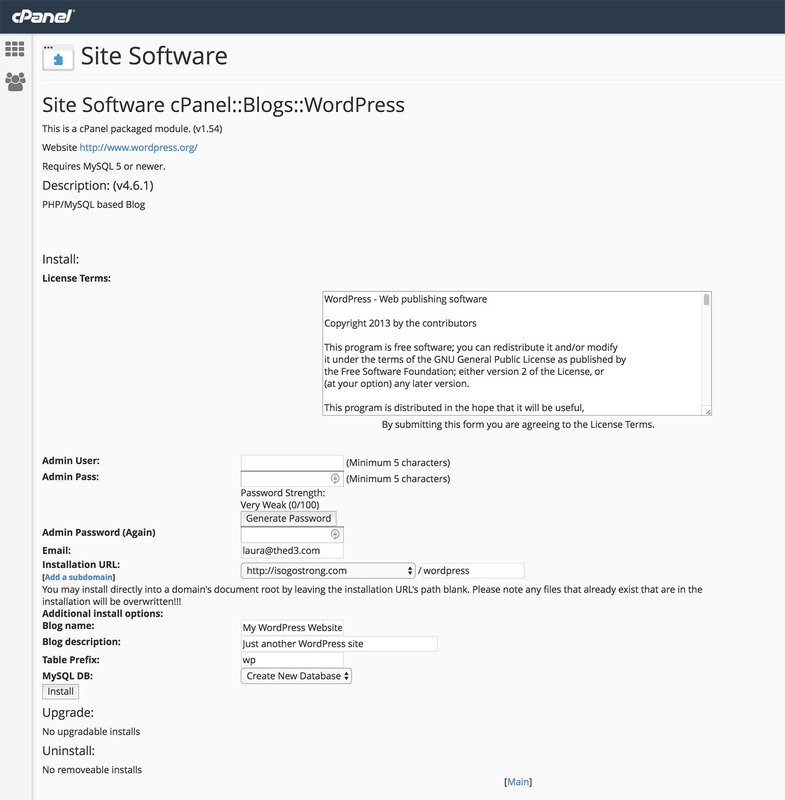 This is a great option for people who don’t want to pay a professional to install WordPress. For more information on how to do this, please visit this tutorial. When people look up hosting, they will often find the $3.99/month price tag for shared hosting very tempting, but we strongly caution website owners away from this solution. Imagine with me that you live in an apartment building with hundreds of other families. Now imagine there’s a domestic disturbance next door. Even though you aren’t directly involved, the police get you involved by questioning you and then putting up police tape around the apartment building to warn people away from the building until it is all clear. This is what it’s like to use shared hosting. If your neighbor website on the same server decides to conduct an illegal online business, your website can be marked as tainted by association. If your neighbor website has millions of users in the span of a few minutes, your website could crash. If you neighbor website gets hacked, your website could be infiltrated as well. 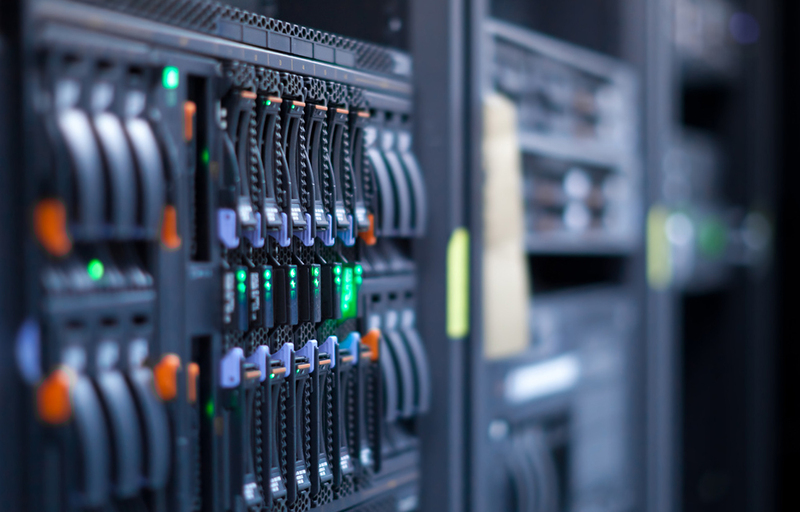 It’s not a safe environment for most business owners to put their website on a shared host. The best option would be to lease an entire server for just your website, but that is too expensive for most business owners to consider. The best compromise is a Virtual Private Server (VPS). Each server is partitioned into a handful of virtual smaller servers which are like having a stand alone server. Because there are a number of different partitions, each is owned by different website owners, but each exists as if they are the only one on the server. This keeps costs down, but also creates a secure environment where a website owner can breath easily that website neighbors won’t negatively impact their website. However, this option can still be fairly expensive for a small business. That is why we lease a VPS server from InMotion Hosting and then host only client websites on that VPS. Each website on our VPS is backed up and updated by us so that we ensure there are no security holes left for an intruder. We only have a select number of clients on our server so we can ensure no one hogs the resources that are meant to be shared. If we start to outgrow our VPS, we simply ask to get more hard drive space and bandwidth and it’s done without the need to move to another server. We have also fine-tuned the environment specifically for WordPress to ensure each client’s website is fast, secure and problem-free. 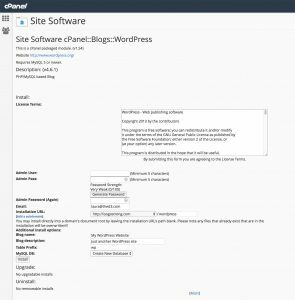 Finally, with WordPress, if you don’t like your host or want a better value, you own all your website files and can move them freely to another host. WordPress hosting offers the ability to fine-tune the server exactly to your website needs and to freely move website files to another server if you ever need or want to. The one-click install feature of many hosting companies is also a great option. But unlike Website Builders, you may need a professional to help you install WordPress on the server. However, there is a plethora of hosting solutions specific for WordPress including our own Managed WordPress Hosting solution. That is why we give WordPress a 7 out of 10 for hosting. Website Builders require you to host with their company in order to use their Website Builder. The code is proprietary which means they own the code and you can’t take it with you. So if you build your website on a platform and you no longer wish to host with them, you need to start over from scratch with your website. Not an ideal situation, but most companies with Website Builders offer a multi-tiered approach to hosting so you can buy the package that fits the best with your website needs. If your website grows and you suddenly need more hard drive space or bandwidth, you can simply ask to be placed in a higher paying tier and you’re good to go. There are no install files for you to have to manage because the Website Builder is ready to go as soon as you create an account. Website Builders offer a no-fuss approach to hosting, but some people may find the lack of control over the server environment too limiting. Some website owners may also want to own their website files and maintain control over them which Website Builders do not allow. Website Builders are really meant for a person who wants to quickly get a website up and wants one shop to do it all. It is like choosing Target over specialty stores. Website Builders offer a no-fuss hosting solution because everything is turnkey. You don’t need a professional to help you install anything. There are multiple tiers to choose from based on a website’s needs. However, if a website owner wants to move to another company, he cannot take his files with him and must start over from scratch. That is why Website Builders get a 8 out of 10 for hosting.